The Hobson & Porter team based at Orsted’s site in Grimsby is benefitting from a collaboration which involves a health check from specialists at the local Oasis Health Club. Hull-headquartered Hobson & Porter is part-way through a major project to extend Orsted’s onshore operations centre on Grimsby’s Royal Dock to service the world’s largest windfarms, Hornsea Projects One and Two. 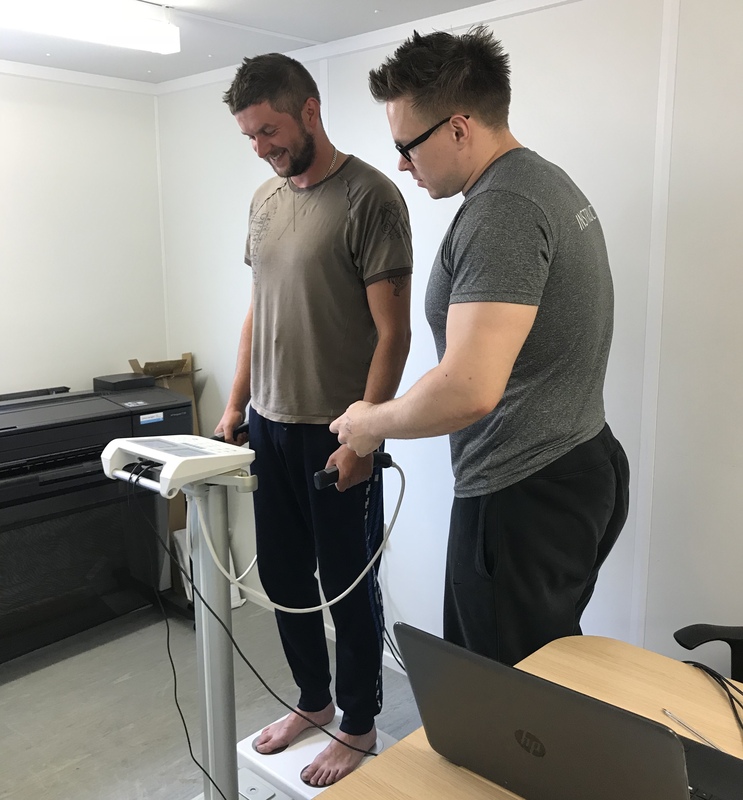 Hobson & Porter approached Oasis Health Club, also located on the Royal Dock, putting forward its project team to take part in a health screening initiative to find out how healthy members of the team are. 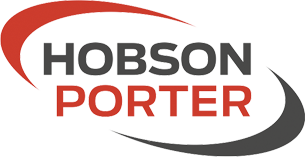 Hobson & Porter joins a number of other local businesses which have taken part in this initiative. Biometric screening is used to benchmark and evaluate changes in health status over time. It measures a wide range of physical characteristics from height and weight to body mass index (BMI), blood pressure, blood cholesterol and blood glucose through to visceral fat (the fat around vital organs) and metabolic age (a comparison of a person’s basal metabolic rate (BMR) and the average BMR for an age). Oasis Health Club has used Tanita Scales to carry out the measurements since November 2016 and is the only health club in the region to offer such a detailed analysis. The team at Oasis Health Club recommends a specific course of action for each individual from Hobson & Porter’s project team based on the results of their health screening which has given them all an initial ‘health age’ based on their first results. They will be assessed again to ensure the changes they have made in their lifestyles are contributing to an improvement in their health and their ‘health age’. 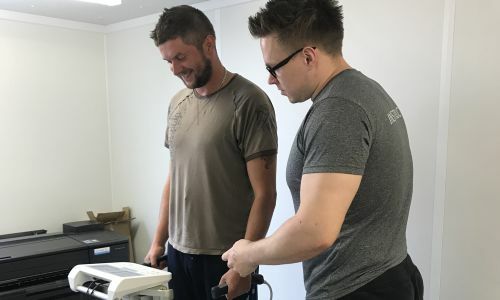 The screenings have produced an overwhelmingly positive response from the site team, with many members praising the initiative for encouraging major changes in their lifestyles. The success of the scheme has meant Hobson & Porter is now exploring using biometric screening in other parts of the business, while continuing to work closely with Oasis Health Club, using the fitness centre’s facilities. The health screening added to Hobson & Porter’s Safe Works principles will ensure site personnel stay safe and healthy for the duration of the project for Orsted and hopefully far beyond.